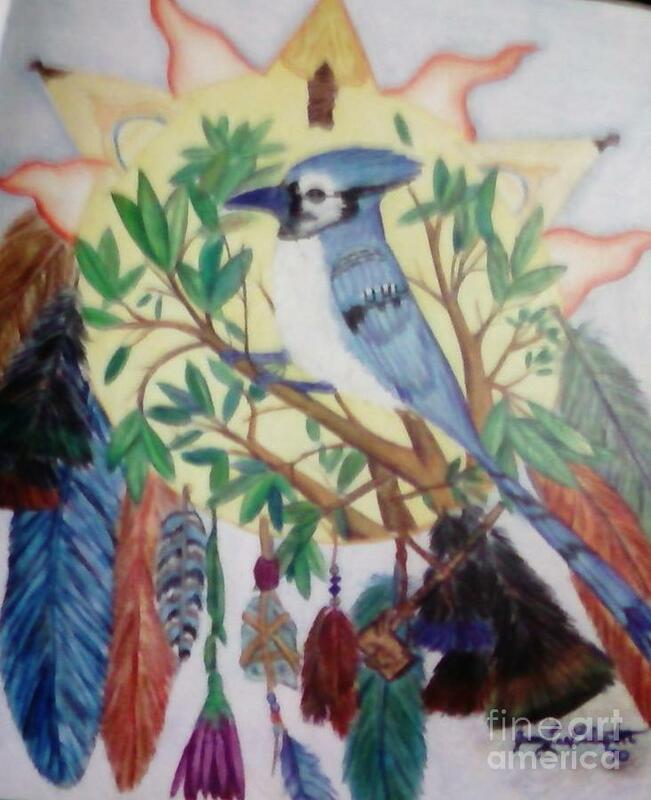 Blue Jay is a drawing by Jamey Balester which was uploaded on October 6th, 2010. I did this drawing back in 1990 in one of my first sketch books. This is part of my sketchbook art series. Since I can't seem to get the color right on the computer to do the drawing justice, I will not make prints of this for sale until I take a better photograph. LOVELY with wonaderful colors. Jamey, you are such a talented artist. There's so much to see and enjoy on your site. LF .